This rustic and whimsical bathtub will rinse your problems away! This tub comes with 64 animations in PG version and 120 animations in Adult version. Tap the faucet to display the water style menu: Romantic with roses, Foam Water, Clear Water. This release is available on CHEZ MOI MARKETPlACE, or for a closer look, visit our STORE IN-WORLD. An eye-catching, romantic half-tree bench with pillow fully interactive for delightful moments. Texture change options: Tap the bench to display the color menu. 9 combinations bench + throw pillow. 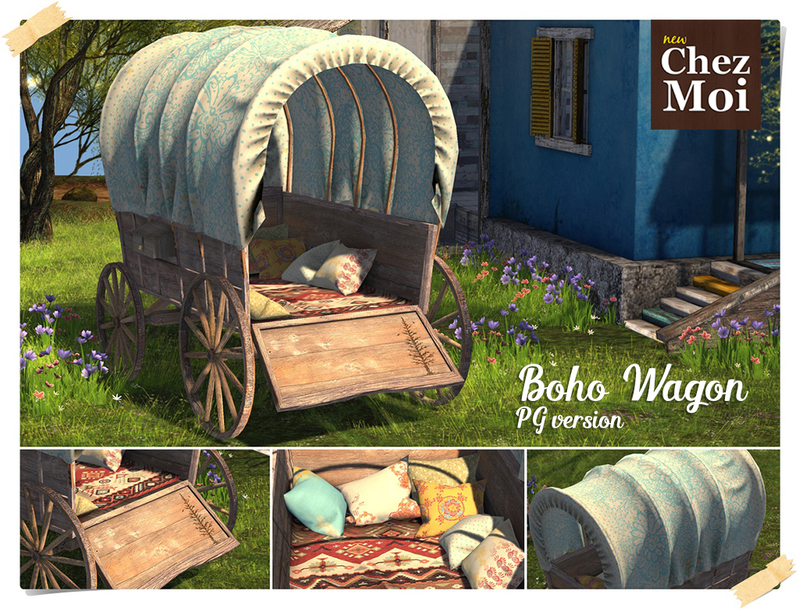 For a Bohemian Bliss in your garden, Boho Wagon CHEZ MOI. Cuddle up with a cozy and romantic look! 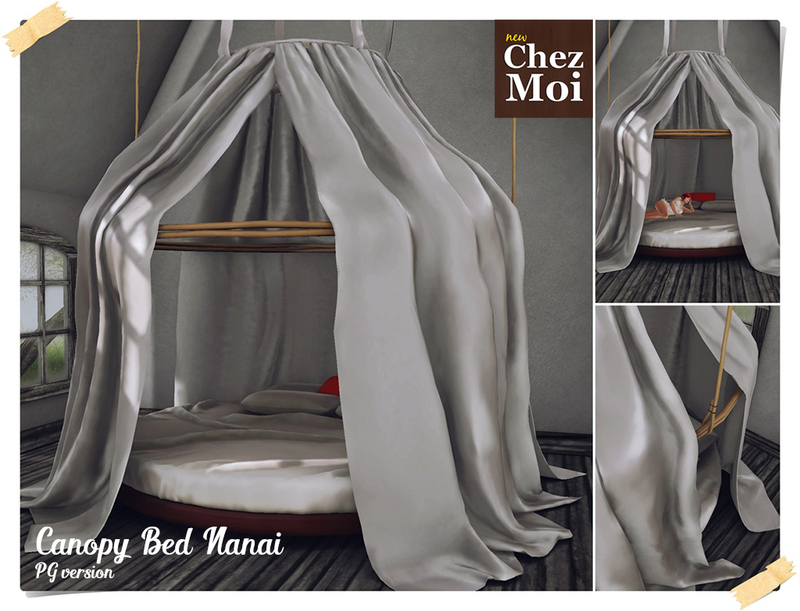 The Canopy Bed Nanai is an eye-catching full of breathtaking animations. This Park Bench is a pleasant place to sit, relax and spend some great time with your friends, family, and beloved one. ♥ 16 family animation (3 spots – 2 adults and 1 child) – Available in Family and Adult version. 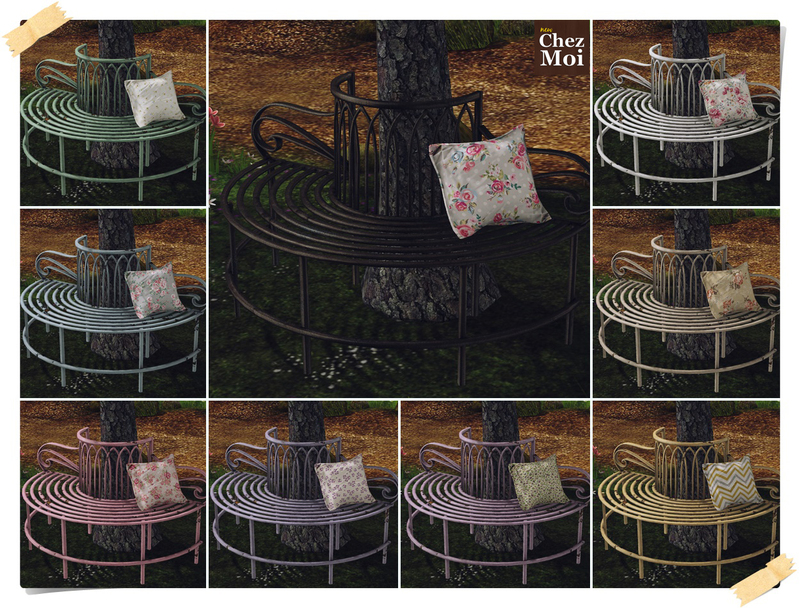 Texture-change options: 9 bench colors to choose. Tap the Bench to display the menu | 6 Tree Holder color. Available in PG, Family, and Adult version. 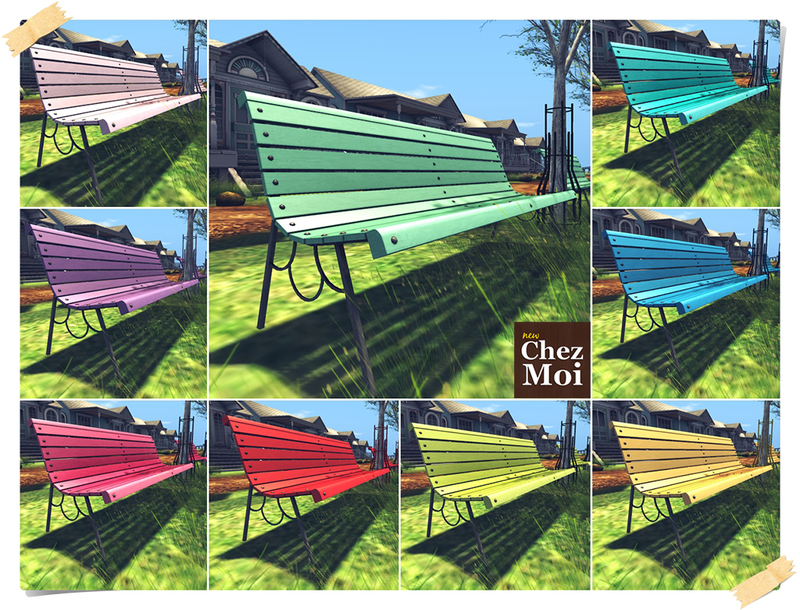 This fabulous Park Bench is available on CHEZ MOI MARKETPLACE, or for a closer look, visit out IN-WORLD STORE. Have Fun!joy and have fun!